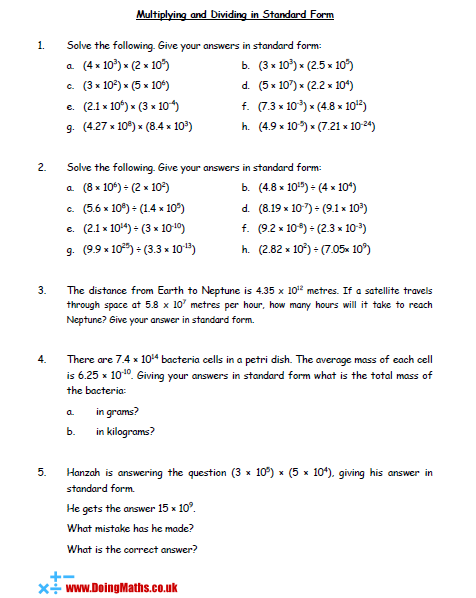 Some resources all about standard form and how to calculate with numbers written in standard form. 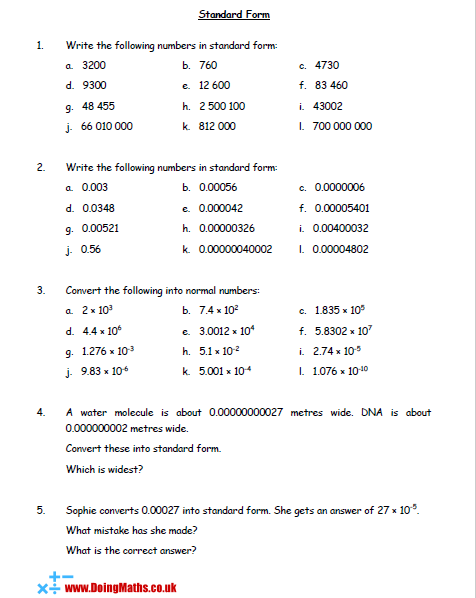 This worksheet practises converting between normal numbers and standard form, using both positive and negative indices. This worksheet is all about multiplying and dividing numbers that are already in standard form, giving answers that are also in standard form. 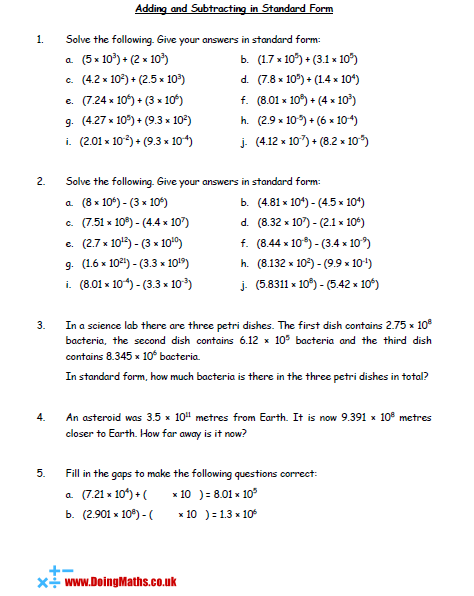 A maths worksheet containing questions on adding and subtracting numbers given in standard form. This involves converting standard form numbers so that their powers of ten match up.